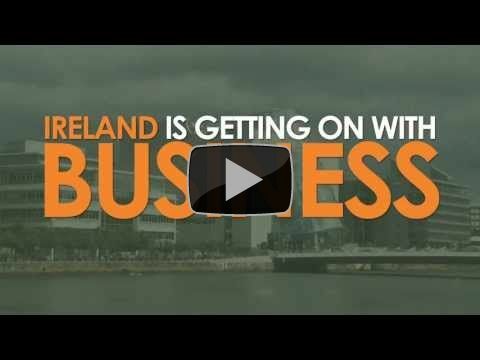 Enterprise Ireland exports to US recorded phenomenal growth in 2012 increasing by 20% while Canadian exports jumped by 26% during the same period. The impact of export success in North America on the Irish economy is significant, and has a positive knock on effect in creating jobs in Ireland. Enterprise Ireland client companies achieved record global exports in 2012 breaking €16bn for the first time, up from €15.2bn in 2011. The main growth sectors were software, lifesciences, including medical devices, business services and advanced engineering. Forty two percent of all software exported by Irish companies is sold in USA. “This was an outstanding achievement by Irish owned companies in a year of sluggish economic growth in the US. As the world’s largest technically advanced economy, the United States is a key trading partner for Ireland and offers a relatively low-risk operating environment for Irish businesses. 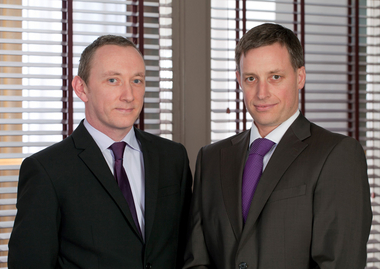 2012 also saw significant growing interest in the Canadian market from Irish business”. He thanked the members of the Irish Diaspora who continue to provide a crucial role in mentoring and advising Irish companies and linking them with business opportunities. Enterprise Ireland is increasing its activities to support clients win new export business and build business networks and partnerships across North America. 2013 will see a record number of trade missions and trade fairs in sectors as diverse as Financial Software, Telecommunications, Digital Media, Oil and Gas, Animation, Information Security, Education and Healthcare, all aimed at linking Irish companies to American and Canadian buyers. 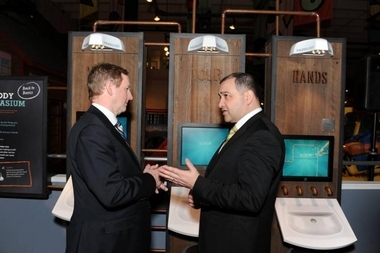 An Taoiseach, Enda Kenny TD visited Seattle, Washington on the 22nd of March to view technology from Irish hygiene company SureWash which was being displayed in an innovative new health and wellness exhibition at the “Wellbody Academy” at the Pacific Science Center. Dublin-based SureWash have developed an interactive hand-hygiene training system that can save money, time and lives – which the company now intends to leverage in the US market. SureWash’s technology reduces the labor needed to train and audit hand-hygiene compliance and significantly, it promotes effective hand-hygiene techniques which can lead to a reduction in hospital acquired infections and ultimately save lives. An Taoiseach acknowledged SureWash as an example of an Irish technology company that had developed an innovative solution for a global problem. The importance of hand-hygiene in the US hospital environment should not be underestimated – it is estimated that approximately 100,000 Americans die annually from hospital acquired infections. The World Health Organization (WHO) estimate that 50% of these hospital acquired infections could be prevented by better hand-hygiene – validating the need for SureWash’s technology in the US hospital environment. Dublin-based health technology start-up, GetHealth has been announced as one of 10 international companies picked as a ‘healthcare transformer’ by New York-based program, StartUp Health Academy. Each transformer chosen will participate in a 3 year program run by Start-Up Health. 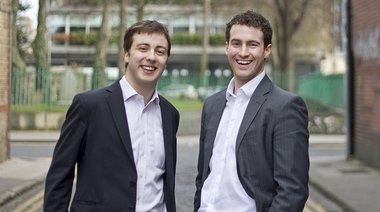 Chris Rooney (Co-Founder and Head of Sales) and Liam Ryan (Co-Founder and CEO). GetHealth Limited, started in 2011 by two undergraduate students, developed a mobile app which makes getting healthy simple and fun for users. The app enables users to check-in and earn points for their daily health achievements, such as eating their 5 fruit and vegetables or doing 30 minutes of exercise. The app also allows users to connect with other like-minded individuals so that they can support and motivate one another in achieving their health goals. The StartUp Health Academy represents a significant opportunity for a company such as GetHealth. The Academy bases itself on a simple premise: the best way to improve healthcare in America is to provide health and wellness entrepreneurs with inspiration, education, and access to customers, capital, and other critical resources. With this support, start-ups can innovate more quickly and build new solutions that will improve care and reduce out of control healthcare costs. CEO of GetHealth, Liam Ryan said on this most recent success: "When we started GetHealth we could see that healthcare, particularly in the US, was starting to change focus away from reactive initiatives towards more preventative programs. Here we saw the opportunity to leverage the growth in mobile technology to provide an app which makes health simple and fun, and ultimately help people improve their lifestyle. In GE and StartUp Health Academy we are delighted to have found partners who understand our vision and want to work with us to help realize it". GetHealth is a mobile and online platform which helps people improve their health through social interaction and gameplay with their family and friends! Their beta users describe them as the “Foursquare for Health”, allowing people to check-in to the healthy tasks they do each day, earn points, and motivate their friends to a healthier lifestyle. Start-up Health is a new model for helping innovation succeed in the health sector. Part community, part Academy, and 1,000% passion, they provide health and wellness innovators with a structured curriculum designed to help navigate the unique challenges of building a sustainable growth business. StartUp Health was founded in 2011 by health tech entrepreneurs Steven Krein and Unity Stoakes and is Chaired by former Time Warner CEO Gerald Levin. 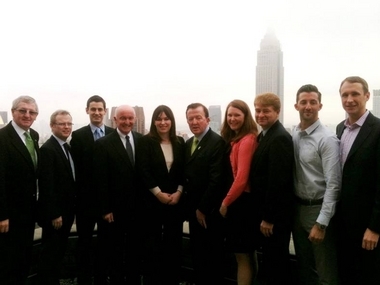 Irish companies continue winning new export business and building international networks and partnerships. 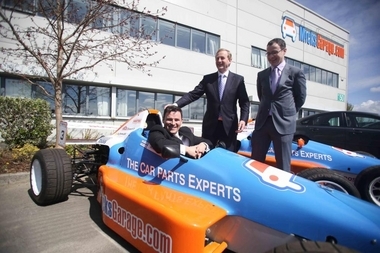 In 2012 for the first time Enterprise Ireland firms hit record €16bn in exports, up from €15.2bn in 2011. Enterprise Ireland client companies achieved record exports in 2012 breaking €16bn for the first time, up from €15.2bn in 2011. Greatest wins came from sectors such as Engineering, Software, Internationally Traded Services and Medical Devices, while the outstanding geographical performance came from USA, Asia Pacific and Latin America. Throughout the year Irish companies continued to broaden their export footprint and increase their sales, in the face of increasing challenges across all global markets. The world economy is predicted to grow moderately (3.3%) in 2013 (Source: IMF April 2013) and the strong performance by Irish companies over the past year puts them in a very healthy position to capitalise on this growth. Enterprise Ireland is increasing its activities to support clients win new export business and build international networks and partnerships. 2013 will see a record number of ministerial-led trade missions with an increased focus on high growth economies in Asia, Latin America and the Middle East. This will be backed up by a wide range of inward buyer visits, study visits, trade fairs, Embassy events and knowledge seminars, all aimed at linking Irish companies to international buyers, leading to increased exports and jobs for Ireland. Making the announcement, Frank Ryan, CEO, Enterprise Ireland said: ”In Enterprise Ireland we are proud of the companies we work with and their tremendous achievement in continuing to increase export sales. These companies are responsible for 300,000 jobs and spend over €18bn in the Irish economy each year by winning business all over the world. It is especially encouraging to see significant gains in established markets like North America, the High Growth Economies of Asia Pacific and record performances from advanced engineering, software and medical device sectors”. 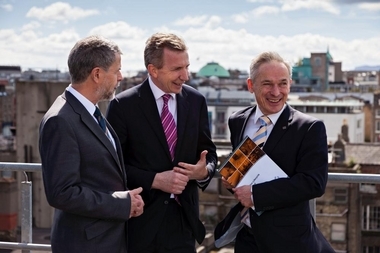 Commenting on the results Minister Bruton said: “Dynamic and innovative Irish companies are central to the Government’s Action Plan for Jobs and these results today confirm that they are continuing to deliver for the Irish economy. Exports create jobs and the record figures announced here today are very promising for employment growth over the coming years. 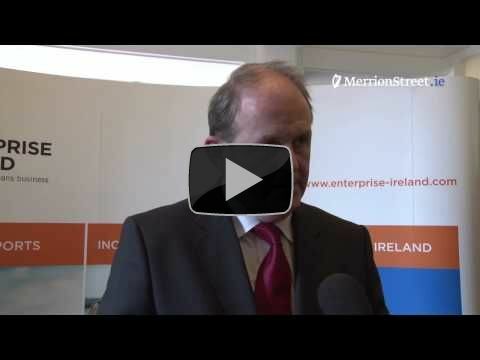 I congratulate all Irish exporters on this performance and credit also to Frank and his team at Enterprise Ireland”. After the successful events in Budapest and Copenhagen, this year Dublin is hosting the largest pan-European eHealth conference. eHealth Week 2013 is taking place in the Convention Center in Dublin from 13th to 15th May as part of the Irish Presidency of the EU. 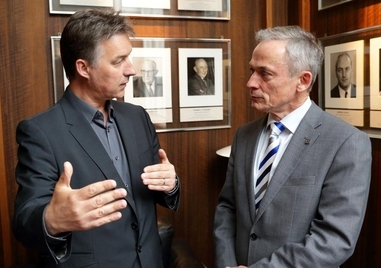 Over a three day period, Ireland will be the eHealth capital of Europe. After the successful events in Budapest and Copenhagen, this year Dublin is hosting the largest pan-European eHealth conference. eHealth Week 2013 is taking place in the Convention Center in Dublin from 13th to 15th May as part of the Irish Presidency of the EU. Over a three day period, Ireland will be the eHealth capital of Europe. Attracting more than 2,500 international delegates and 100 exhibitors, the eHealth Conference is the biggest eHealth event in Europe. eHealth Week features two main events: the High Level eHealth Conference co-organised by the European Commission and the Irish Department of Health, and the World of Health IT Conference and Exhibition organised by HIMSS Europe. The theme of this year’s eHealth Week is “Delivering Innovative Healthcare and Well-being”. The event will highlight the potential for eHealth development and showcase the very best that Ireland has to offer in this area, while also supporting the broader EU objectives of economic stability and sustainable growth. Europe at national as well as cross-border level is facing challenges such as ageing society, chronic disease management, patient and professional mobility, health professional shortages, that eHealth could help to improve. E-health provides a new method for using health resources – such as information, money, and medicines and is a recognised tool in enhancing the modernisation of national healthcare systems. The EU e-Health sector includes large companies, but is particularly characterised by a very large number of SMEs. In Ireland, Enterprise Ireland proactively engages with clients and the research community in exploiting opportunities in a sector which has huge potential. 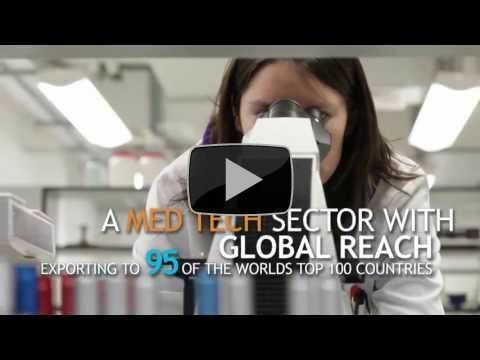 Enterprise Ireland has a client base of approximately 40 companies focused on this area across Lifesciences, Software and International Services. Companies operating in the eHealth space include Lincor, S3 Group, Rigney Dolphin, Vitalograph, Shimmer Research, Valentia Technologies, Radisens Diagnostics, to name just a few. Ireland has proven expertise in R&D and advanced manufacturing in medical technologies, embedded software systems and wireless communications. The Government continues to make significant investment in building the research capability in the eHealth arena and Ireland is now developing rapidly as an eco-system for eHealth solutions which will enable Irish companies to supply innovative products and services to global markets. Cloud services are reshaping the way companies do business and manage their information. The Irish Internet Association, in partnership with Enterprise Ireland and sponsored by Microsoft, is holding a series of Cloud Awareness and Adoption events for summer 2013 aimed at helping Irish SMEs assess the potential of using cloud-based business models to support their export growth. The first Cloud Adoption Event will take place in Galway on Thursday, 30 May, with further events planned for Dublin and Cork early this summer. 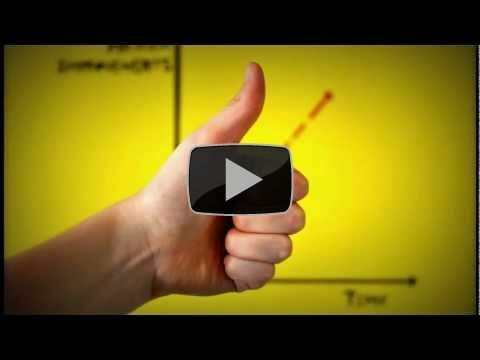 This Cloud Awareness series is specifically designed to help companies to assess the benefits of cloud computing while managing any potential risks. Delegates will hear from other SMEs on how, why and what they moved to the cloud as well as from security and service contract experts who will guide delegates through the process. 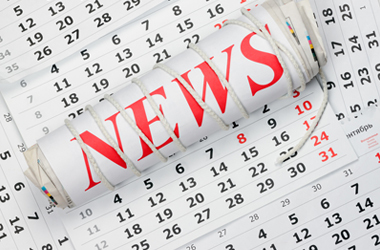 This series of IIA and Enterprise Ireland events were announced during National Cloud Week – a week of activities organised by Microsoft to drive cloud awareness and adoption. “There is enormous potential for the cloud to play a central role in driving economic growth and job creation but for its potential to be fulfilled it is critical that small businesses understand how they can tap into the benefits of cloud to help them scale for growth,” said Clare Dillon, developer and platform group lead with Microsoft Ireland. Ireland's emerging digital marketing analytics company BOSS Metrics, led by founder and CEO Conor Lynch is riding the crest of the digital wave sweeping across the Irish business landscape since forming in 2012. Ireland's emerging digital marketing analytics company BOSS Metrics, led by founder and CEO Conor Lynch is riding the crest of the digital wave sweeping across the Irish business landscape since forming in 2012. A veteran of many award winning projects for such companies as Guinness, Toyota and Vodafone to name a few, the challenge of helping businesses everywhere to easily navigate the new digital frontier was too exciting a challenge for Lynch to ignore. 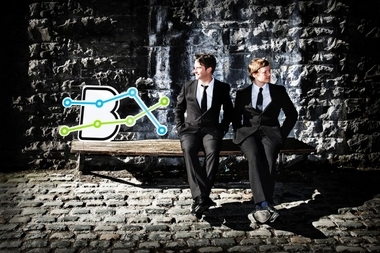 Between Conor, and co-founder and CTO Barry O'Sullivan, software product developer, they have created and launched BOSS Metrics and are starting to win new clients and projects. The company has grown from the support received from both the Enterprise Ireland Competitive Start Fund and the NDRC Launchpad programme in 2012. BOSS Metrics is a brand's best friend when navigating the sometimes choppy and unchartered waters of social media and digital marketing. The product delivers businesses easily understandable but comprehensive digital diagnostics and performance audits for any company's digital, social and mobile channel activity. It allows better course correction for any brand's online communications, pointing out what activity and content style works and what isn't getting an effective response. This digital performance audit then includes a detailed action plan so brands can optimise their efforts online and work towards enhanced return on investment. The jewel in BOSS Metrics crown is possibly its ‘digital espionage function’. Users can access detailed competitor reports and therefore benchmark their own efforts against competing brands in terms of using their online communication channels more effectively. BOSS Metrics has already helped Irish businesses gain a stronger and more confident position in the digital space, in many sectors such as financial services, FMCG and leisure goods, technology and hospitality. The company continues to grow nationally and are working with Enterprise Ireland to target growth in the UK market in 2013 also. According to Mike Hogan, Enterprise Ireland Manager for Poland, the trade mission provides an important platform for Irish companies wishing to expand their market footprint in Central and Eastern Europe. 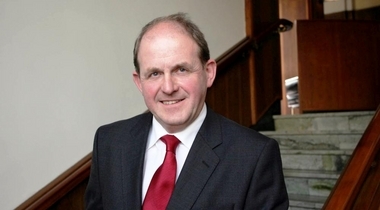 An Enterprise Ireland trade mission, led by Minister for Small Business, John Perry TD will visit the Czech Republic and Poland from May 14 to 16. The focus of the mission will be to encourage more companies from the SME sector to export to these fast growing markets. 40 Irish ICT, engineering, lifesciences and internationally traded service companies will take part in the mission. The delegation will undertake a series of high level meetings with government Ministries in Prague and Warsaw, together with a number of business meetings and business networking events in both capitals. In parallel to the trade mission, two IT recruitment events are being organised in Warsaw and Gdansk, under the banner "IT - It's Happening Here" seeking to fill resource gaps in the Irish indigenous software sector. ‘The Czech Republic and Poland were recently described by Morgan Stanley's Head of Emerging Market Equities as Europe's economic 'Sweet Spot' *, countries with medium GDP per head levels moving fast to the EU average. Indigenous Irish industry is particularly well matched to serve such middle income countries in terms of our export offering. Poland for example, is already a Top Ten export destination for Enterprise Ireland client exports, and with the last Irish census showing the Polish Diaspora to be around 3% of Ireland's population, and Polish our second most spoken language, there is certainly no storage of resources to drive exports to Poland. Irish goods and services exports to the Czech Republic and Poland are already Euro 1.9bn and this trade mission is part of our efforts to ensure Irish SMEs are part of this success story. * Ruchir Sharma in his best selling 2012 book "Breakout Nations - In Pursuit of the Next Economic Miracles"
In April, twenty four Enterprise Ireland client companies were given an opportunity to showcase their products and develop new business opportunities with Turkish partners on a four-day trade mission led by Tánaiste and Minister for Foreign Affairs and Trade Eamon Gilmore TD. 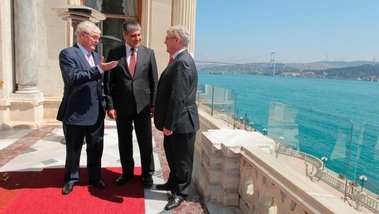 In April, twenty four Enterprise Ireland client companies were given an opportunity to showcase their products and develop new business opportunities with Turkish partners during a four-day trade mission led by Tánaiste and Minister for Foreign Affairs and Trade Eamon Gilmore TD. ESB International announced its first major deal in the Turkish market. Worth €30 million over the next five years, the company will operate and maintain a power station in conjunction with Turkish provider Unit Group. Monaghan-based forklift manufacturer Combilift also signed a new a deal for new orders bringing total business with Turkish partner company Cuhadaroglu to € 1 million. It followed the announcement of a joint venture by Meath-based steel fabricator Kells Stainless to develop biomass technology with Turkish partner UMDE. Speaking in Istanbul, the Tánaiste said: "Trade between Turkey and Ireland has risen by 20 percent over the past three years thanks to the initiative of innovative Irish exporters who are driving that growth. This visit has been about supporting their efforts as they continue to make inroads into what is one of the fastest-growing markets in Europe. The deals they are doing here are translating into jobs at home". During the mission, the Irish Exporters Association also signed a Memorandum of Understanding with the Turkish Exporters Assembly aimed at doubling bilateral trade over the next ten years. At an event held at the Turkish Jockey Club in conjunction with animal feed producers Connolly's Redmills, the Tánaiste endorsed the Kilkenny-based company's work in the area of equine nutrition and welcomed the Jockey Club's continued interest and investment in the Irish bloodstock industry. A new international scholarship scheme, aimed at attracting top students from priority and emerging markets to study in Ireland has been launched by the Minister for Education and Skills, Ruairí Quinn T.D. 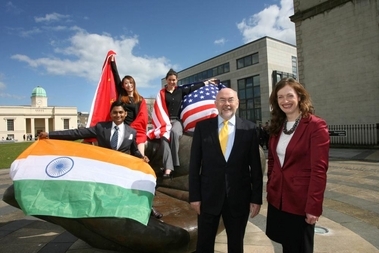 Minister for Education and Skills, Ruairí Quinn TD, Marina Donohoe, Head of Education at Enterprise Ireland and students Himanshu Dadheech from India, studying at Waterford Institute of Technology, Xia Jiao from China, studying at Athlone Institute of Technology and Julia Daly, USA, who attends Trinity College Dublin. A new international scholarship scheme, aimed at attracting top students from priority and emerging markets to study in Ireland has been launched by the Minister for Education and Skills, Ruairí Quinn TD. The first group of 20 international students have received their scholarships. The students from India, China and Brazil are in either their final year of undergraduate studies or at post-graduate level. Under the Government of Ireland International Scholarships they have all fees and registration charges waived and also receive €10,000 to cover living expenses for one year of study in Ireland. A further 22 scholarships will be awarded to students from China, India, Brazil and the United States for the 2013/14 academic year. Minister Quinn said, “This new scholarship scheme is a key part of our efforts to promote Ireland as a centre for international study. International students contribute over a billion Euro each year to the Irish economy, and this is a priority area in the Government’s Action Plan for Jobs 2013”. “We are a trading economy, and so we need to raise Ireland’s links with major emerging markets like China, Brazil and India. By awarding scholarships to top students from these countries, we are making an investment in our future trading relationships, which will benefit Irish business, tourism and cultural interests overseas”. Also acknowledged at the event were participants in Education in Ireland’s International Student Ambassador Programme. Minister Quinn thanked the Student Ambassadors, nearly 40 of whom have been actively engaged in promoting Ireland through social media: “This outstanding group of young people from around the world are playing a crucial role in promoting Ireland as an education destination. Their tweets, blogs, posts and podcasts are reaching the student audiences we want to hear about Ireland”. The International Scholars and Student Ambassadors were awarded certificates at the Department of Education and Skills and were honoured by a reception at Áras an Úachtaráin in the presence of the President Michael D. Higgins. Marina Donohoe, Head of Education at Enterprise Ireland which manages the International Student Ambassador programme added, “Education in Ireland, the umbrella brand for promoting Irish higher education institutions in international markets, is actively targeting students in India, Brazil, the USA, China and the Middle East to encourage them to study in Ireland. The power of social media cannot be overestimated as we seek to interact with international students." 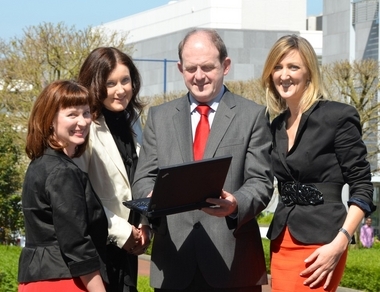 “In January 2012 we had 42,008 online interactions with the Education in Ireland brand. A year on, this number has increased to 631,000 – reflecting the success of Enterprise Ireland’s strategy to promote and drive the Education in Ireland brand online using social media with significant inputs from our International Student Ambassadors. Students talk to each other online. The blogs, videos, tweets and podcasts posted by our Student Ambassadors are a great endorsement of student life in Ireland and a fantastic way to help promote Ireland as a destination for international education”. The WIRE2013 Conference will see up to 500 delegates from 20 countries coming together to focus on regional aspects relevant to the final stages of the design and legislative process for the European Union’s next funding programme, Horizon 2020. As a result, European regional policy and regional development will be influenced by this conference. Organised by Enterprise Ireland, the Conference will directly engage with and include the business community, SMEs and multinational corporations, bringing them together with regional, national and European stakeholders - including public organisations, policymakers, research communities and enterprises - to address, develop and progress the strengthening of regional ecosystems in the areas of research, technological development and innovation. The theme of the Conference is ‘Regions: leading the way’ and will include high profile speakers such as Sean Sherlock TD Minister of State for Research and Innovation and Máire Geoghegan-Quinn, European Commissioner for Research, Innovation and Science. Commissioner Geoghegan-Quinn will also award the winners of the first European Prize for Innovation in Public Administration. Nine local, regional and national authorities across Europe will be awarded 100 000 EUR for their initiatives that benefit citizens, firms or education and research to scale up their winning initiatives. The Prizes should highlight efficient public spending and inspire others to follow their example. Financed by the European Commission, the WIRE Conference series is recognised as a key element in promoting regional development. The Conference will aim to identify what role there can be for regions in the Horizon 2020 programme as well as challenges, niche opportunities to add value, how to exploit opportunities as well as providing a platform to benchmark, network and establish future partnerships. Commenting on Cork hosting this important conference, Minister of State for Research and Innovation, Seán Sherlock said: ‘I am delighted that Cork has been chosen to host the WIRE2013 Conference. The rapid transformation of Ireland from an agriculture based nation on the periphery of Europe to a competitive, high-tech world player is typified by the Cork region. The South West Region has a highly dynamic industrial sector with many of the world's leading multinational corporations having their European headquarters in the area. ‘The role of Structural Funds here can be used as a model of success; through integration into a coherent national policy framework and prioritisation of investment, in particular human resources, education and training, which has been a key factor in making Ireland attractive for foreign direct investment. 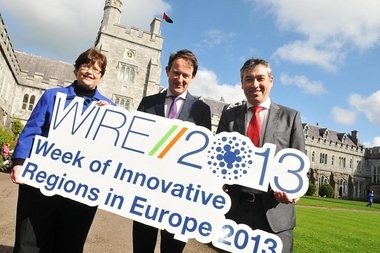 The unique internationalisation activity of the region, with 133 overseas companies employing over 21,000 people, makes it a fitting location for the WIRE2013 Conference’ Minister Sherlock added. Over 120 specialists from across Europe recently gathered in Cork at the “Space Innovation Powering Blue Growth” conference to discuss how space technologies can contribute to increasing the Irish maritime sector's contribution to Europe’s economic growth and recovery. Opening the conference Minister for Research and Innovation, Sean Sherlock, said: “There are over 40 Irish companies currently engaged in ESA programmes many of which are directly addressing global challenges such as climate change, sea-level rise, maritime surveillance and marine environmental monitoring. This is a growing industry and one which will guarantee high-quality jobs for Irish people and benefit our economy into the future”. Dr Volker Liebig, ESA Director of Earth Observation Programmes was a key note speaker at the conference. 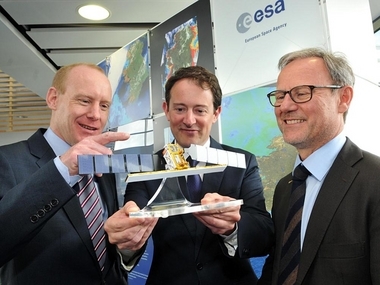 According to him, Irish companies and researchers have distinguished themselves in European Space Agency (ESA) programmes by developing innovative maritime services using satellite derived data in areas as diverse as marine renewables, fisheries protection, aquaculture and tourism. In outlining opportunities for Ireland in particular, Dr. Liebig points to Ireland’s extensive maritime area, which makes it one of the EU’s largest member states – “This national asset is a largely untapped source of many new business opportunities, especially for Irish SMEs". 1600 direct and indirect jobs and 450 construction jobs will be created by Glanbia Ingredients Ireland Limited (GIIL) in a Government-supported investment which will contribute an estimated €400 million p.a. to the economy, with particular benefit to farm families and rural communities. Enterprise Ireland will part-fund the development of a world-class dairy facility in Belview, on the Kilkenny/Waterford border. 1600 direct and indirect jobs and 450 construction jobs will be created by Glanbia Ingredients Ireland Limited (GIIL) in a Government-supported investment which will contribute an estimated €400 million p.a. to the economy, with particular benefit to farm families and rural communities. Enterprise Ireland will part-fund the development of a world-class dairy facility in Belview, on the Kilkenny/Waterford border. Construction is set to commence on 17 May and the new facility is expected to begin production in Spring 2015. GIIL will employ 76 staff directly at the plant with 1,600 jobs created indirectly on farms, suppliers and maintenance. Some 450 construction workers will be employed during the build. GIIL is Ireland’s leading dairy ingredients company – processing 1.6 billion litres of milk or 30% of Ireland’s milk pool into a range of dairy ingredients for export to more than 50 countries. All produce from the new facility will be destined for export markets. The scale and scope of Belview is extremely ambitious. As the dairy industry purchases 90% of its inputs from the domestic economy, there will be a maximum impact on the income of farm families – boosting the rural economy and the local industries that will service on-farm expansion. Taoiseach Enda Kenny who attended the announcement said: “It is the largest single dairy investment in the history of the State and will contribute greatly to Ireland's export-led recovery." Minister for Agriculture, Food and the Marine, Simon Coveney TD stated that the announcement by GIIL is a milestone in realising the tremendous potential for dairy expansion which is a cornerstone of the Food Harvest 2020 strategy. "The Belview facility is a significant, strategic development for our business. Most of all it reflects our confidence in, and commitment to our 4,300 milk suppliers. By providing this additional processing capacity we will be facilitating milk suppliers in their ambition to avail of the opportunity presented by quota abolition post 2015". Frank Ryan, CEO of Enterprise Ireland, said: “Today’s announcement will further secure Ireland’s standing as a world-leader in the dairy industry”. The support of Enterprise Ireland will allow GIIL to target value-added markets; further invest in technology and innovation; build organisational capability, significantly enhance sustainability and accelerate the company’s expansion plans with its 4,300 milk suppliers. GIIL is working in partnership with its suppliers on a range of programmes to prepare for expansion, including index-linked milk pricing, volatility management tools, a sustainability programme and financial training.